At the Product step of the wizard, select the database whose settings you want to configure. The utility detects what server is installed on the local machine (backup server, Veeam Backup Enterprise Manager server or both) and displays available products for your choice. 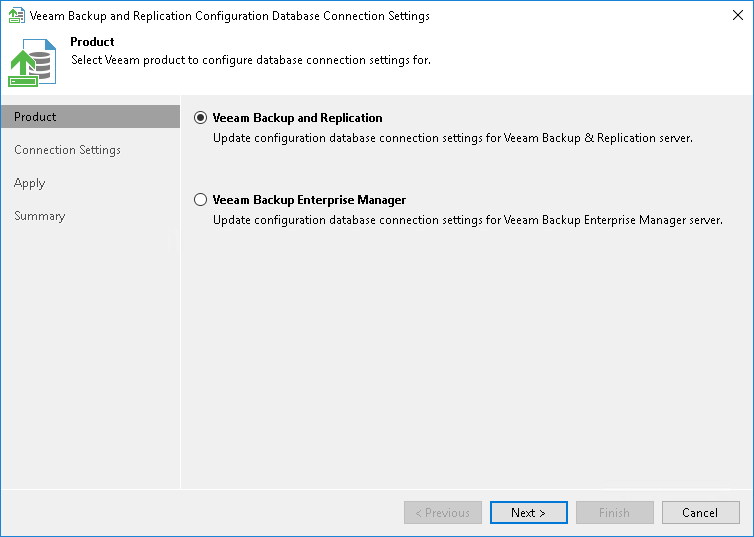 If Veeam Backup Enterprise Manager is not installed on the local machine, you will only have an opportunity to change Veeam Backup & Replication database settings (and vice versa). In this case, the Product step of the wizard will be skipped.